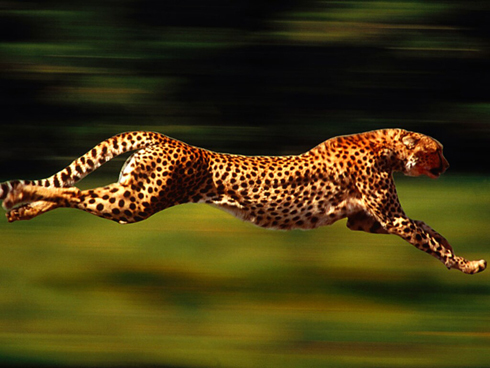 Cheetahs are faster than lion's and the leopard's , cheetahs are also smaller then those two animals but they still are the fastest animal in the world . Cheetahs run about 70 mph . Especially when they are tring to hunt for food.